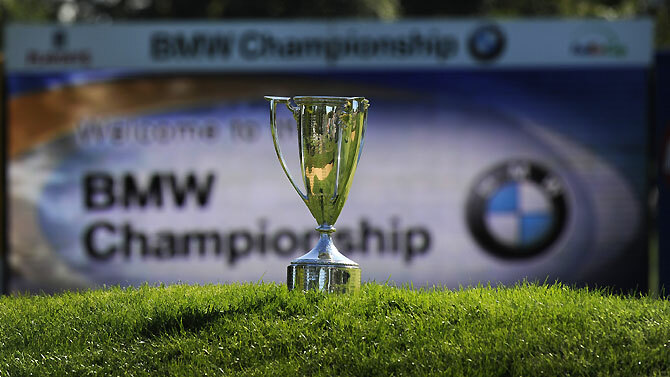 We are getting ever closer to the end of the golfing season, with the PGA already done and dusted, it leaves just three more tournaments in Europe. A brief trip to Australia and then ‘The Final Series’ which is the European Tour equivalent of the play-offs where a LOT of money will be on offer. St Andrews also hosted most recently the 2010 and 2005 Open Championship’s. With two of the rounds being played here, it is interesting to see who has performed in the major. Meanwhile Carnoustie hosted the 2007 event Have a look at the leaderboards. Branden Grace stormed to victory at this last year, but he comes back here a shadow of his former self. Course form is obviously important, but with it being played over different courses and it being a pro-am format, golfers who are striking the ball well at this current moment will ultimately prevail. All your standard links statistics will need to be looked at as well, with driving accuracy and GIR particularly crucial on any links track. And to win this you will need to go low! All bookmakers are offering 6 places this week as well! 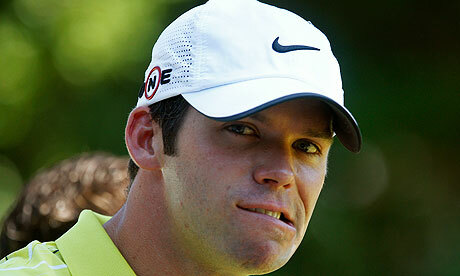 One of the very first names that popped into our heads when looking at this tournament was Paul Casey. The Englishman has had an important season for his confidence and maturing ability and when his irons are in full swing – 6th on Tour, there are very few who can rival him. Admittedly, his form in recent weeks hasn’t been as good recently, but he has still been plugging away. Being the sort of player he is, he needs a good start to find form and once he gets going he is unstoppable. Due to his all-round natural game, he can play in any conditions and on the courses this week, there could be a change in weather at any moment. Being links-esque tracks, he will fancy himself because he has a great record on the coastal and challenging courses. He won the Irish Open in tough conditions and Carton House gives the vibes of links, whilst he has 2 titles in Scotland. Then, you look at his form at this tournament. 4 top 10s in his last 6 outings (including the Open in 2007 at Carnoustie). That proves how well he can go here, especially when you think his lowly world ranking at the time and shocking performances in and around the time. The Englishman will want to assert himself further on the Race To Dubai rankings because he has now slipped to 29th, so what better way than winning at a place where you have had success at before? As we have mentioned, form is vital coming into the Alfred Dunhill and the Scot as really impressed us over the last month. His play-off defeat at the Johnnie Walker Championship, a links-esque track, was somewhat overshadowed by his triple bogey in the closing stages, and but for that the title would have been his! But he followed that three weeks ago with another solid 9th at the Omega European Masters. So his form is there for all to see. He comes into this tournament having won it in 2004 and followed with two more top 10 finishes, most recent of which was 5th place last year. 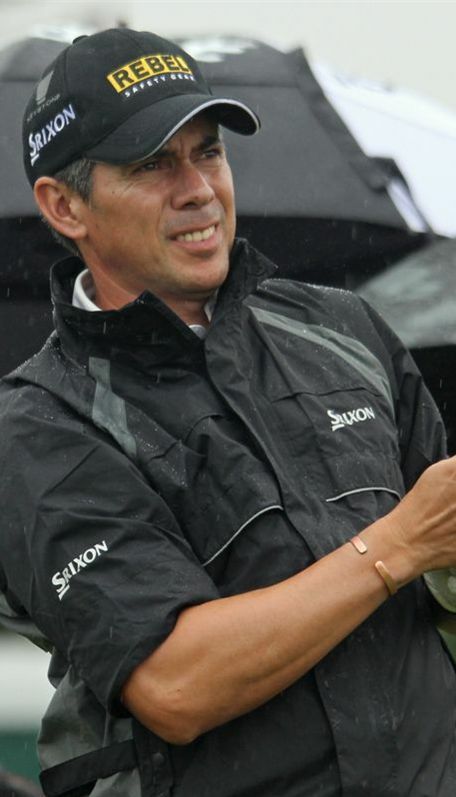 He also had a very respectable T23 at the 2010 Open Championship at St Andrews. 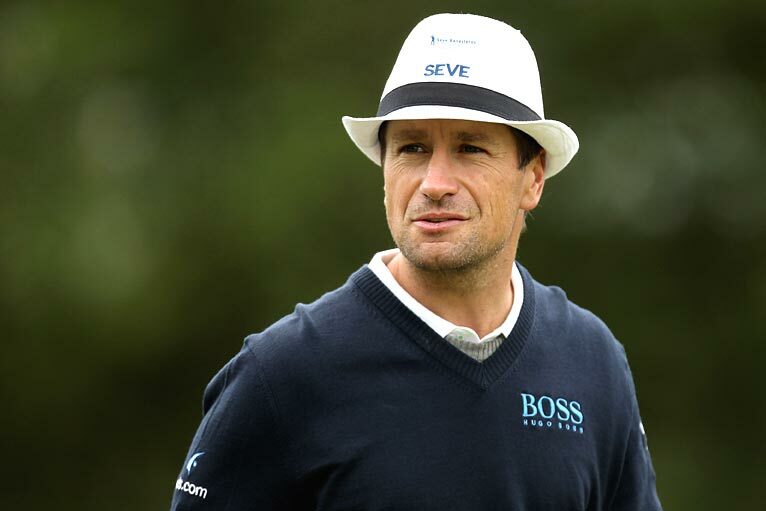 On the tour this year he is 31st stroke average, 24th driving distance and 27th GIR. For a former champion here, he represents a really solid bet this week. Now we have kind of gone against our recent form notion with the American here. He has missed 5 of his last 7 cuts, but in those other two performances he has carded top 10 finishes. And that really does some him up. An erratic performer but on his day can walk away with any event. But since he burst on the scene earlier in the year, he has proven to be quite a decent links player! His T10 at the Scottish Open included a final round 74, so his credentials on both links tracks and in Scotland itself cannot be questioned. His one victory this year, a co-sanctioned event The Madeira Islands Open, was also links which means he has what it takes to not only perform on these courses, but win. And call it a hunch, call it what you like, but the American’s do love a pro-am and all the hype that comes with it! Statistically we know Uihlein is one of the biggest hitters on the tour, ranking 5th in distance, which will help him out on tracks that he will not know particularly well. IF he decides to bring his clubs this week, he could go close. One of the great young talents in the game, Thorbjørn Olesen has not pushed onto the next level as much as we thought at the beginning of the year. There is a reason Nike signed him onto their roster and its not as if you can blame the ‘new clubs’ because he recorded a T2 in Abu Dhabi and T3 at the Omega Desert Classic in his first few weeks using them. Since then he has only had 2 top 10s and whilst one of them was at Augusta, it has been a year for growing maturity rather than challenging for tournaments. So, why do we feel adamant about backing him this week? Because his odds are far too high for a player of his ability and that other top 10 was at Gleneagles last month… He showed some glimpses of his true class in a third round 66, when he holed everything and hit his irons beautifully. Plus, he is a proven links player who has the ability to manoeuvre and manipulate his ball flight, adapting to any changing weather conditions. Last year he came 2nd here, only 2 shots behind Branden Grace and T9 at The Open, when he properly announced himself to the world. 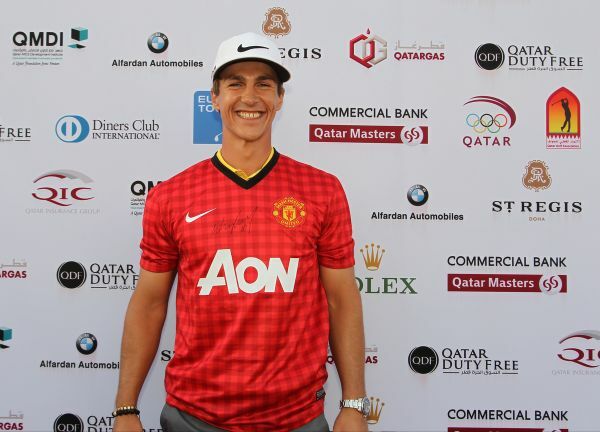 We have every faith in one of our favourite golfers and there are few who are as exciting as Olesen in full flow. Bring it home. We remember seeing Steve Webster at this tournament last year when he shot a 64 on the final day to race up the leaderboard. It showed how his ability can match up to a tough links course, so when we saw him plugging away to a T2 in Italy last week, we knew backing him here would be a definite. He has an outstanding iron game – 7th in the rankings and we just felt he was too interesting to ignore at 3-figure prices. Looking at his form, he has struggled throughout much of the year, but when he has made the cut, he has generally gone on to finish really high. His lowest being T29 when making the weekend; that includes 5 top 10s, which is really not a bad return. In all honesty, some of his golf last week was very impressive and if he can continue it into a cheeky time in Scotland, we could all be in for a wonderful treat – he can destroy any player that gets stuck in his web…. One slight concern was his ability to shoot low numbers consistently, but on the Tour this year he does in fact 19th in stroke average, whilst also being 18th in GIR. Watch out for the 43 year old from Thailand. Before you read, please do check out our weekly post for Golf Monthly magazine. This week its all about Tiger and that ‘ball moving’ incident! The end of the year is finally here. The best 30 players from 2013 have made this season ending Tour Championship, all vying for the potential prize of $10 million. However ludicrous that money is, it makes for a fascinating battle between the best in the world because most of them may already be stinking rich but none will sniff at that sort of payout. 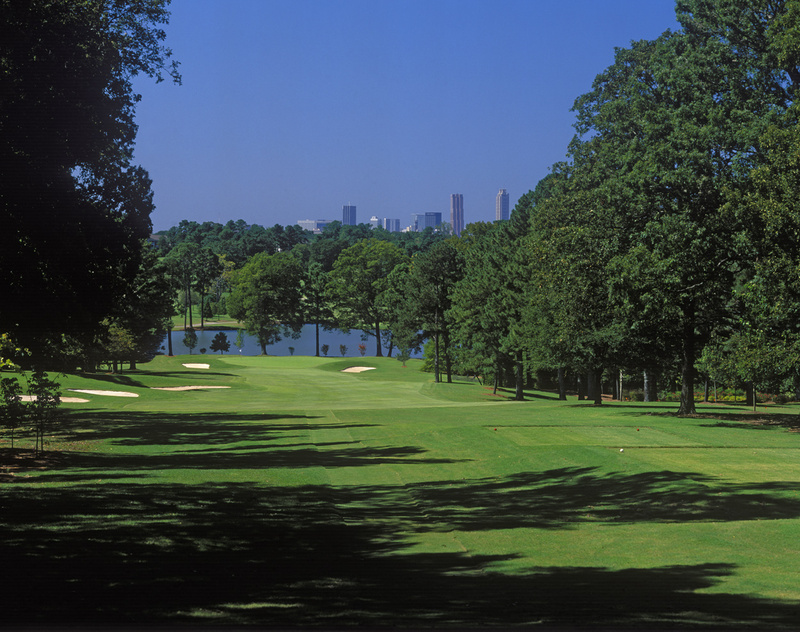 As it has done since 2004, East Lake Golf course will play host this week and at 7,154 yards will provide a tough test for the 30-man field. It is widely known as a ball strikers track, where accuracy from tee to green will be vital and the top of previous leaderboards have been constantly filled with these sorts of players. Even with that said, the greens are where the real action will take place. Firstly winning the FedEx Cup is fast becoming a major achievement and secondly the pressure of standing over 10 footers for that amount of money will make even the steadiest heart tremble with nerves. Last year the stimpmeter read 12.0 which is absolutely rapid and will cause all sorts of chaos, so whoever wins this will have putted out their skin on all four days. The top 5 in the FedEx Cup standings have destiny in their own hands (you will hear the commentator bang on about this constantly) because if any of them win the tournament they will also win the whole FedEx Cup, just as Brandt Snedeker did last year. Obviously value wise this is not an easy week because of the small field, but it is more acceptable to stake to win in these circumstances and we have some players that have really taken our eye. 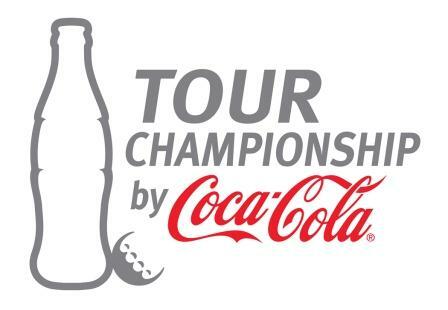 Lets follow on from our win and 3 places last week and end the PGA Tour season on a high. Quick Reminder: We’re trying to get as many people involved in the DownThe18th Fantasy Golf for 2014 with prize incentives hopefully on offer. Email us at downthe18th@hotmail.co.uk or tweet @downthe18th to get on board! 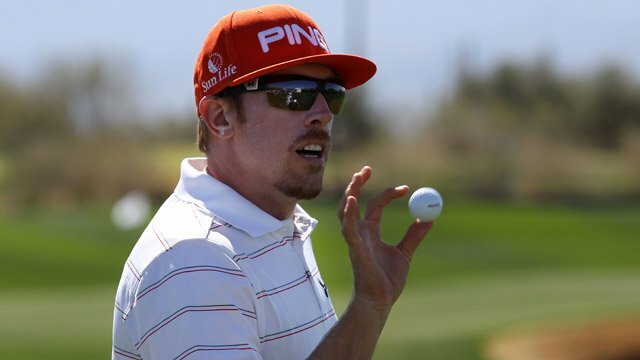 Hunter Mahan has certainly had an interesting season and may feel disappointed at his overall performance. 5 top 10s for someone of this calibre is just not good enough, but 2 of them were at major championships and a cheeky T4 last week will give him the world of confidence. If he hadn’t shot 73 on Friday he would have been in contention more so than he was but the 65 and 67 that followed will give him so much hope going into this week. Plus he finished T8 and 2nd in the last two outings here, which is some achievement. As a ball striker he is one of the best in the business when his game is on – 17th in the ball striking stats and at times last week he looked very lively. Off the tee he is just as accurate – 24th and he loves hitting greens – 27th. Basically from tee to green he is very dependable and if, if he can get his putter going then he has a serious chance of winning this. No one reads the greens like Sir Steve does. We just used the word dependable in the above spiel for Mahan but that is how you sum up the 46-year old stalwart, Steve Stricker. What this man has done in 2013 is beyond incredible. He has only played 12 events yet found 10 top 25 and 7 top 10s, which is some achievement. 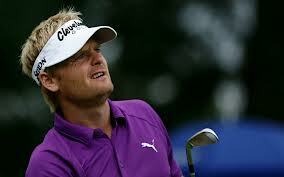 Being able to climb to 6th in the FedEx Cup rankings from such few appearances shows how consistent he has been. Whilst, last week a T4 finish included two outstanding rounds of 66 and 64 but a 72 on Sunday ruined any chances of victory. As for his tee to green abilities, it is scary how good and reliable he is – 3rd driving accuracy, 2nd GIR and 6th ball striking. Wow. Because of how tight it could get his efficient scrambling (4th in the rankings) will come into play and when he gets on the green he is up there with the best putters in the world – 3rd strokes gained putting. Ultimately, would it not be a fitting way to end the season with Stricker picking up the big cheque – because he is 6th, it is still pretty much in his hands – and we can all imagine him just waving his hands and calling it a day with $10 million in his pocket can’t we? 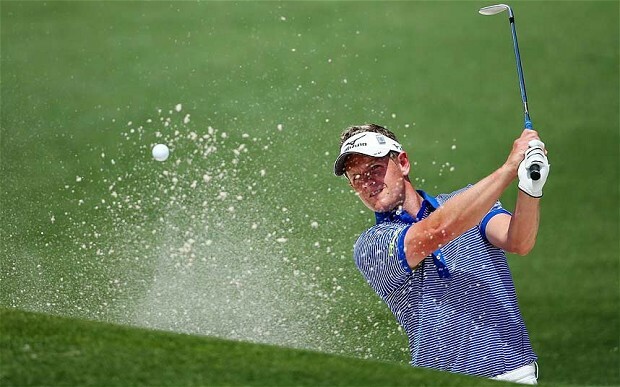 Considering he was number one in the world and has the ability to rival anyone, it is has been a disappointing season for Luke Donald. 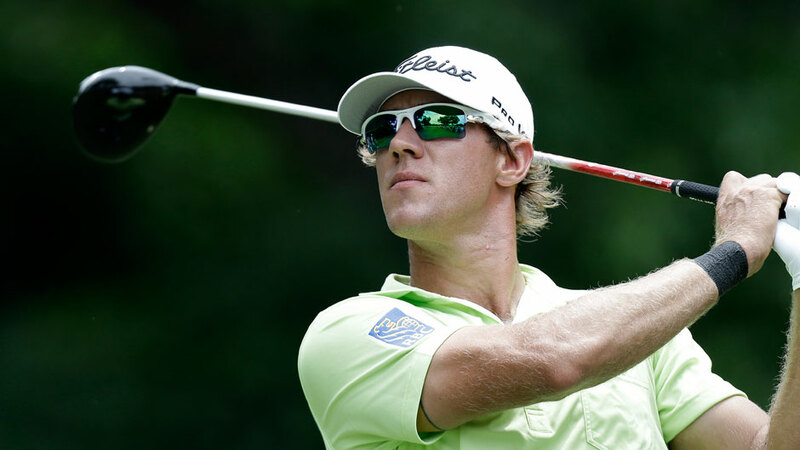 5 top 10s on the PGA Tour sounds good on paper, but there have been too many awful showings. However, on his home course last week he played some solid golf to finish T4 and that will give him a lot of confidence as he comes to a track he has enjoyed memorable performances in recent years. 2012 and 2011 – T3, 2010 – T2 and 2006 T5 shows how he has enjoyed this course mainly because his abilities suit the challenge down to a tee. (excuse the pun.) Surprisingly his GIR stats are relatively shocking (151st) but that is because of some of his woeful outings, so 51st in driving accuracy and 11th in strokes gained putting is actually impressive considering. And when you think of scrambler, Donald is always one of the first names to enter your mind – 32nd in the rankings. He will be arriving here with a limited chance of winning the big prize; a lot of things will have to go his way. The fact he is even here is an achievement because he only sneaked inside the top 30 on the last few holes when he holed some tough putts and that could play into his favour in terms of the tournament. He will have everything to play for and nothing to lose. We need say nothing about this photo. We really felt that at 33/1 Charl Schwartzel provided decent value considering the small field and gave us a chance to have a cheeky e/w bet on a supremely talented golfer. He played very consistently for four rounds last week in his T8 finish and that should give him plenty of confidence as he arrives onto a course that he has never played at. Even with his lack of knowledge about East Lake, it is a track that should suit his eye as a slick ball striker. When his game is on he is unerringly accurate and attacks pins for fun, in fact his main downfall all year has been on the greens, where he has missed far too many 5-footers – even though he somehow lies 27th in strokes gained putting. He is one of those players that seems to thrive of a good run and if he can get going, following on from last week there is no reason why he can’t be up there challenging come Sunday. After a quick stop in Holland, the European journey continues as we move south to Turin, Italy. We find ourselves at Golf Club Torino, a 7,208 yard par 72 track. It is if you didn’t already know, home of the Molinari brothers. Only Francesco will tee it up in Turin this week and the bookies have slapped a very un-backable price of 14/1 on his head, which we can’t touch especially considering his recent form! It was previously played at this club in 1999 where Dean Robertson bagged his only European Tour victory, a player we can’t really tell you much about… But the course will be a relatively easy one, albeit tougher than its sister course, and scores should getting to at least 15 under. The fairways are tight and accuracy off the tee will be needed, but GIR and putting stats are where it will be at this week. People who have been playing well will of course benefit coming onto a relatively unknown track, so we have to look at people who have been playing well of late. 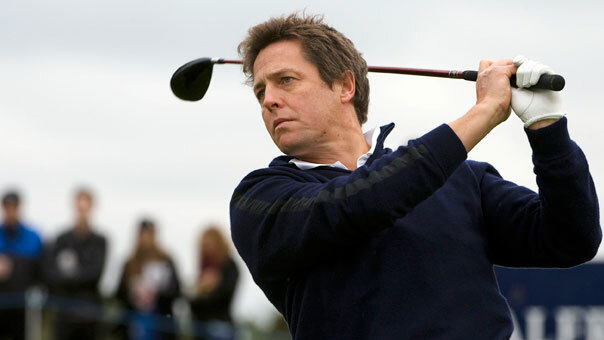 A big favourite of ours and man who on is day, is one of the best iron players on tour. His form has been slowly getting back to what it was earlier in the season where he recorded three top 6 finishes in a row. T17 at the Russian Open, T14 at the Johnnie Walker and T9 last week in Holland shows he is striking the ball how we know he can. And the Englishman is definitely a form player, he will build on the encouraged results he has earned. On the tour he ranks 24th stroke average, 27th driving accuracy, 25th putts per GIR and 19th putts per round, all of which will be needed this week. He came so close to claiming victory on Italian soil in 2010 where he just lost out to Andersson Hed, so he has what it takes on similar style courses. He is a solid pick, and a man who we hope will go close. The Dane has been peaking of late and his accuracy and iron play could be crucial around this course. His 3rd at the Wales Open was a real eye opener and his final round of 66 was nothing short of sensational. He played consistent the week after and then played very well again last week eventually finishing T8. So his form is there for all to see. What is very interesting is that he competed on this track back in 1999, where he posted a couple of cheeky rounds in the 60’s. It’s not exactly amazing, but that bit of course knowledge could give him the edge over the rest of the field. Statistically he ranks consistent in all areas, but as we say, he has been a different animal of late. Despite being our lowest odds, we can’t put Rafa any higher in our picks purely because we still just don’t quite know what performance he will put in from one week to the next. What we have seen is that is iron play is back to its best and with the eradication of the odd error here and there, the Spaniard could have another title under his belt in the coming weeks. It was his strong Major finishes that impressed us and he himself said it gave him extra confidence to perform well back on the European Tour. It was proven with his T15 at the Wales Open a few weeks back. Bello finished top 10 in this tournament last year, and although on a different course will have a similar feel this time around. But if it’s course knowledge you want, look no further. 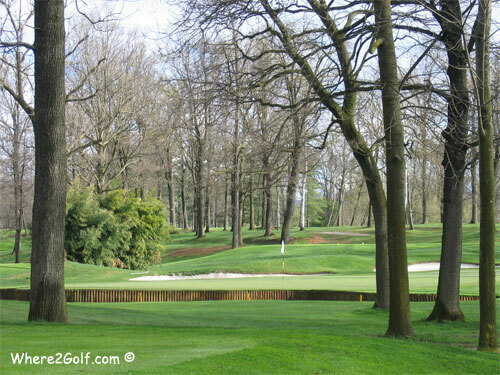 Golf Club Torino hosted the 2008 Piemonte Open on the Challenge Tour and Rafa finished tied for 5th place! His mix of form and course knowledge leaves us in no doubt that he could do very well in Turin. The Argentine will without doubt be one of the stars of the future, and still at 20 years of age could easily grab a win this week. He has been one of the most consistent players on tour over the last month and challenged heavily at the Johnnie Walker Championship, eventually coming T6. And he showed he can continue his good form with a T11 last week. 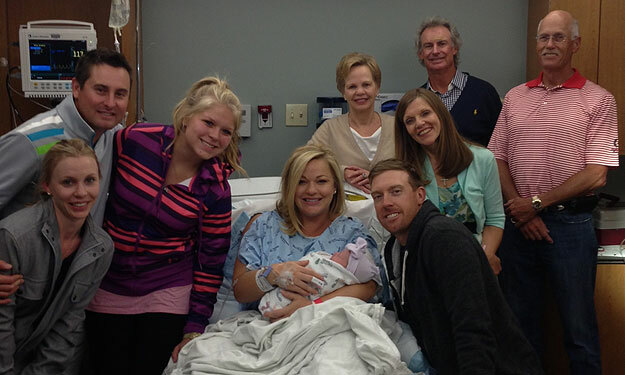 He will have no worries coming onto a new course striking the ball the way he is. Statistically, you will not find many better for this course. 5th in GIR, 29th driving distance, 28th driving accuracy and 47th stroke average. He perhaps is not the best putter on the circuit, but when he hits it close to the pin like he has been, we don’t really think that matters! We will end this week’s picks with a couple of cheeky outsiders, starting with our second Argentine pick of the week, Gonzalez. He caught everyone’s eye reaching the play-off at the Johnnie Walker eventually losing out to Tommy Fleetwood. But for injury worries on the final day, that title would surely have been his! Since then he has failed to replicate such results, but he comes onto a course he has previous with. He did in fact finish T6 all the way back in 1999 on this course, just three shots off the winner. He also ranks 7th in GIR on the tour. So if he can rekindle that bit of form he found a few weeks back, he could be an interesting prospect! From 5000 feet above sea level in the picturesque Alps of Switzerland to the Dutch coastline west of Amsterdam – this week the KLM Open takes centre stage and a strong field has assembled as the tournaments count down before the Race To Dubai kicks in. The Kennemer Golf and Country Club certainly has a links feel to it, where wind will come into play. The fairways are relatively generous but have severe undulations on each hole. This picture perfectly sums up the course – undulating terrain and horrible rough. The rough will eat alive any intruder, meaning it is vital to be accurate but more so because it will be absolutely key to find good positions in order to attack the pins and small greens. One of driving accuracy or GIR have seemed to win here in the recent years it has hosted the tournament – 2006-2009. Accurate iron gurus who can work their way through the wind and different levels the ball will be in the fairway will eventually come out on top. It does show the links style with the four winners here – Simon Dyson (2009, 2006), Darren Clarke (2008) and Ross Fisher (2007). What do they have in common? All from the British Isles. 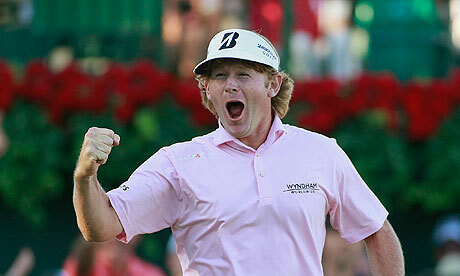 Links experts will come to the fore and you can expect the Brits to be battling out the top places. We will try to overcome our poor run of betting form because we have had absolutely no luck in recent weeks, it cannot be long before it runs out! Shane Lowry showing his abilities as a model. Potential career after golf? 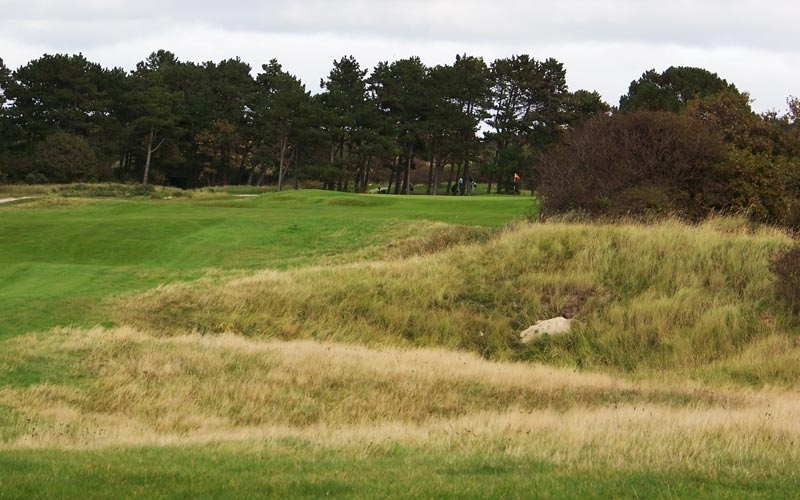 With a course that will give a links feel, Shane Lowry was a name that came to our mind straight away. 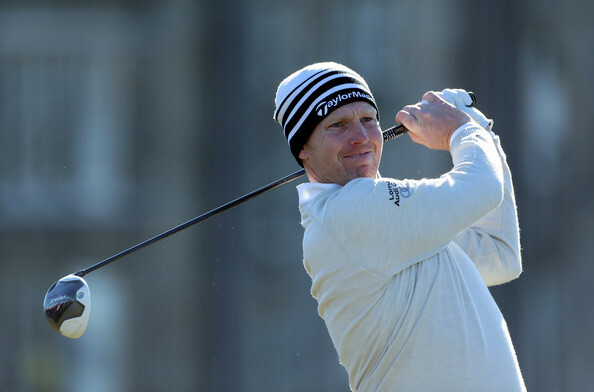 He enjoys playing in windy, seaside tournaments and his two European Tour victories have come on ‘links’ feel courses. 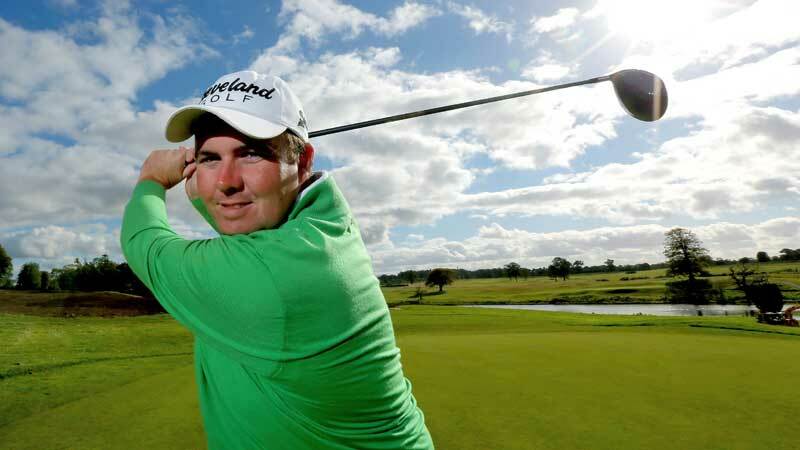 His Irish roots will suit the challenge and if his game gets going he is unerringly accurate. In his last tournament he finished T10 and 14th in driving accuracy, 31st for GIR and 7th in putts per round – that would be a lethal combination this week. He has not played horrendously this year – not missing a cut since February is quite an achievement, whilst he has recorded 5 top 10s. His form seems to annoyingly dip during the four days of a tournament. He has one or two good rounds but grinds his way through the other two, which leaves him behind in the scoring. With changes to the course and plenty of wind expected, we hope the grind happens on a day when others struggle and Lowry can put together four consistent rounds to win his first trophy of 2013. 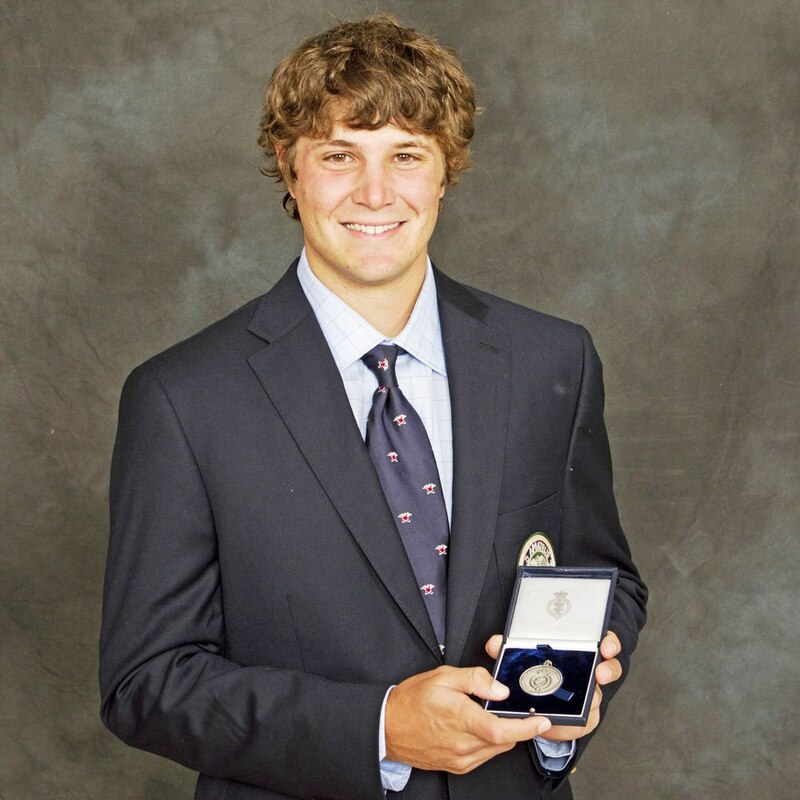 Brooks Koepka and Peter Uihlein came over to European shores in order to discover themselves and develop their golfing abilities. What a decision that turned out to be. 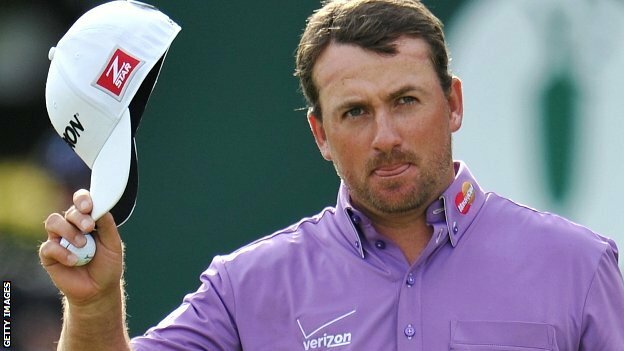 They have recorded 5 wins between them in 2013 and because Koepka won 3 Challenge Tour events he has earned his Tour card up till the end of 2014. The step up has not deterred either American – Uihlein has already won a European Tour event, whilst Koepka has found 4 top 20s in 6 tournaments. At the end of the day Koepka has the feel that he is close to a win and this could be that week. One of the most accurate men on tour, Cañizares was another name that came to our minds when first looking at this tournament. Then when we saw that he has never missed a cut here, we got a little bit excited. In 2006 he finished T7 here, shooting a 66 and 67 but that +1 on the Friday did mean he was quite far back to properly challenge. Watching him last week filled us with confidence that his game is back again – tee to green he looked impeccable – 11th driving accuracy and 35th GIR. But his putting looked sensational and if he can replicate anything similar to last week then he will be up there contesting without a doubt – 3rd putts per GIR and 6th putts per round. 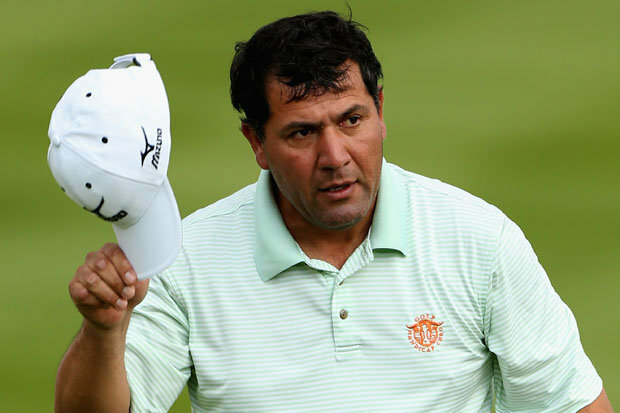 There is no reason why he shouldn’t be up there, his precise game suits the course and even if the wind is up, he has shown how he can handle that at the BMW PGA at Wentworth, when the weather turned for the worse and he battled his way to a T4. 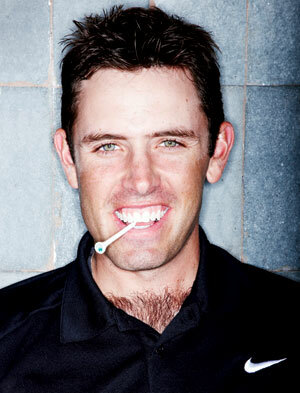 Lets just hope his game is switched on because he is too talented to have only one European Tour title to his name. Now we know Damien McGrane missed the cut last week and a horrendous time of it, but we can only assume the high altitude played tricks on the Irishman. He would much prefer to be at sea level and we are looking at his T6 at the Welsh Open the week before with greater intrigue because his accuracy and short game looked impressive. 35th driving accuracy, 26th GIR and 22nd putts per round is encouraging and if it becomes a scramble with tough wind he is one of the best on Tour – 13th in the rankings. It is his course form that excited us the most however. T4 in 2009, just 1 shot of the playoff score, his 64 on the final day was superb and that week he proved he can find 4 rounds below 70. In 2008 he finished T20 and in 2006 he lost the title on the last day because of a final round 70 to end in T3. He has many demons to overcome at this course and many wrongs to right, so considering he has played well recently and you can get him at 3-figure odds, he is definitely worth a cheeky bet. This may seems like a ridiculous choice, but 47-year old Olazábal could be an interesting outsider and at those sort of odds, pennies are only needed for a hefty return. He has showed glimmers of form throughout the season, but his age seems to catch up and he rarely performs for 4 days straight. He shot a 67 in round 1 last week in Switzerland and it was as if he was starting his playing days all over again. He eventually petered out and finished T34 but we all know how well he can play in tough conditions on links courses. 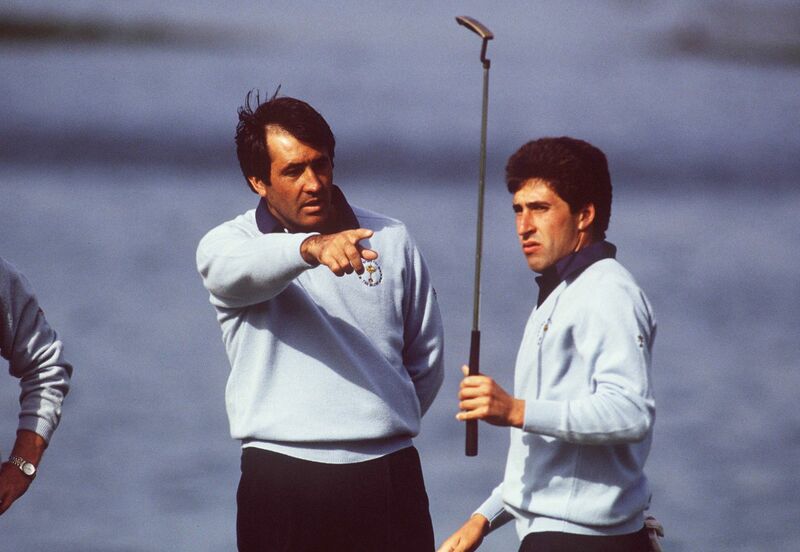 Also, when this course hosted the KLM Dutch Open back in 1989, this certain Spaniard won in a playoff…. We are starting to get to the crunch in Europe now and there are just 6 tournaments left before the Race To Dubai Final Series begins. 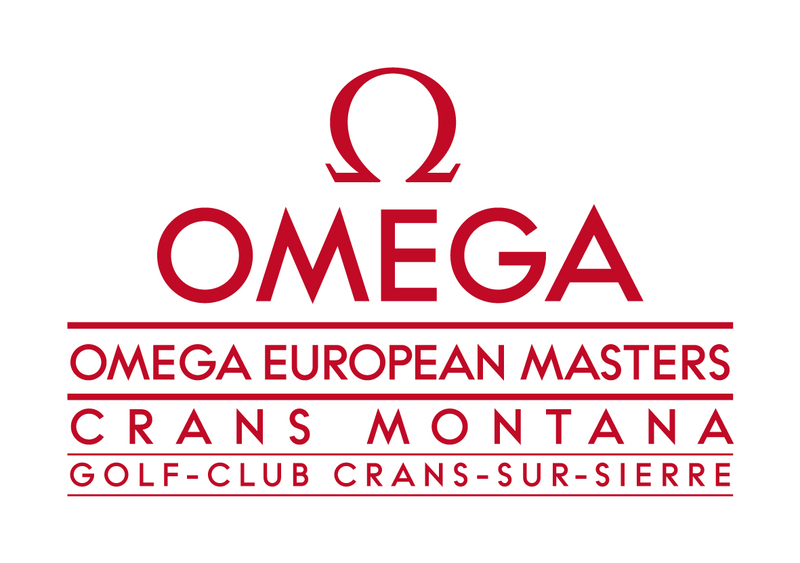 This week we are in Switzerland for the Omega European Masters; a tournament that is steeped in history on Tour and has captured the imagination of many fans due to it being held at one of the most beautiful courses in Europe. 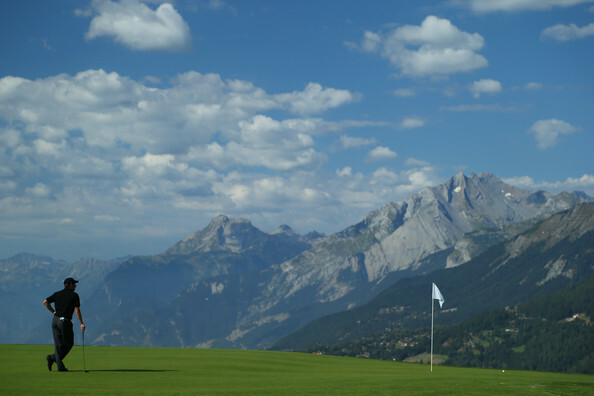 The Crans-sur-Sierre course is set in the Swiss Alps and has panoramic views from all angles. It is a 6,881 yard par 71, which is obviously short by today’s standards. With most tracks short of the 7,000 yard mark, they test players in completely different ways to the monsters that you find Stateside. Narrow, tree-lined fairways will catch out errant tee shots, whilst the small and guarded greens will prove tough to find. Many of the past winners here have had excellent accuracy stats from tee to green and most often let the putter just ‘get by’. Although short game prowess is certainly useful with bunkers and big slopes off the greens causing mayhem and potential trouble. The club have spent an estimated €2 million on refurbishing the course since last year, improving the greens and working out ways to bring more hazards into play. There are now 6 holes where water will be an obstacle, re-affirming the need to be accurate this week. 3 of the 4 par 5s are definitely reachable in 2, whilst 3 par 4s can be reached by the very, very longest. Most will be looking at a very short wedge shot – hence why someone like Luke Donald won here in 2004. All in all it is going to be a great week and hopefully we can overturn our own recent rut and find a winner in the Swiss Alps. The Aussie certainly has a taste for winning! The Aussie has gotten back to his best in the last couple of weeks after his incredible back to back victories earlier in the season. With this course being such a short one, emphasis on the short game has never been bigger. And we have no worries when we say, on his day, there is no better player in the WORLD with a better short game than Rumford. So with the four par 5’s and three short par 4’s, there will be plenty of opportunities to express his abilities. He averages 290 yards off the tee also, so it’s not as if he is a one trick pony either! We also need to mention Brett won here in 2007! And that was his last victory since these two in 2013, so maybe his new found winning mentality can spark some memories from his previous win here. 6th two weeks ago followed by an 8th last week means he is definitely back to his best. Rumford is just a really solid performer and you will not go wrong with him this week. When we knew what type of course it was, the Spaniard instantly popped into our heads. It seems that country breeds magnificent iron players and he is no different. Richie Ramsey won last year coming 1st in GIR and Castano is easily capable of matching that with the game that he brings to the table. It’s also a course where fellow countryman Jimenez has thrived, and certainly looks like a course they will enjoy. His form perhaps has not excited us like we would want, but we need to account for his PGA Tour performances and Majors. But T10 at the US Open certainly shows he has the game for tight, tough courses! We also need to mention his T8 last week at the Wales Open where he finished very impressively with two rounds of 69, which ultimately confirmed to us that we were backing him this week. He has recorded a top 6 on this track before, so we know he can perform around here. 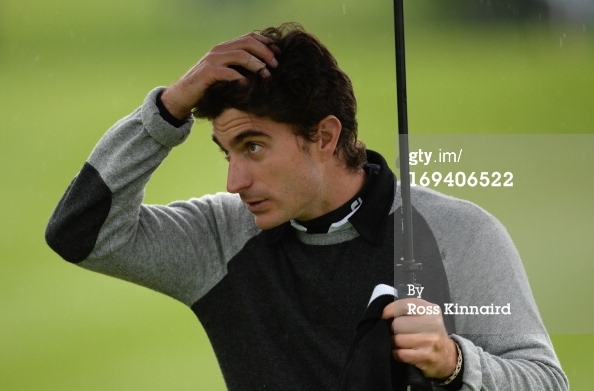 One thing that would always worry us with backing Castano is his putting. If he could putt better, the wins he has to his name could easily be doubled. But putting in particular will not be as much as a factor this week, only three people out of the top 20 last year ranked inside the top 10 for putts per GIR. It just shows if you keep giving yourself those chances, the putts will drop. For quality of player, you will not find better than the Spaniard in Switzerland. Can he make it back to back wins here? Richie Ramsay is a player that has been on our radar for a very long time, having impressed us in various moments throughout the past couple of years. Last season he really showed his true class at this very event, where he defeated a strong field by 4 strokes, playing some superb golf tee to green. He once again proved how talented his iron play can be and there is no reason why he can’t do it again. However, what has frustrated us is how he has failed to kick on in 2013 and fulfil his talent as he enters his 30s. He is a 2-time European Tour winner and 3 top 10s all year is a very poor return. But one of those top 10s did come last time out at the Johnnie Walker Championship, which will have given him an unthinkable amount of confidence going onto a course where he has played so well at before. He is a proven short-course golfer and when you think he is lying in 3rd for driving accuracy and 38th for GIR, you realise this is a perfect match. All we can hope for is that his putter works, because everything else will fall into place. We backed Adilson Da Silva for a course of a very similar nature earlier this year. 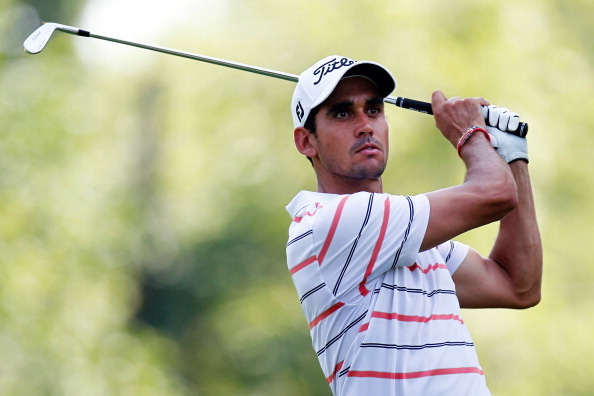 The East London Golf Course held the Africa Open in South Africa and Da Silva was 3 shots clear going into the weekend, having played sublimely. Then, between walking off the 18th on Friday and teeing off on the 1st the next day, he somehow injured his wrist and back and was absolutely shocking both Saturday and Sunday. We were understandably gutted, but it was a peak into the potential of Da Silva and how destructive he can be when his game is on. He has since gone on to play on ‘lower’ tours, incorporating a schedule in Asia, Africa and Europe. Not surprisingly, his form has been sublime, recording the lowest finish of T41. 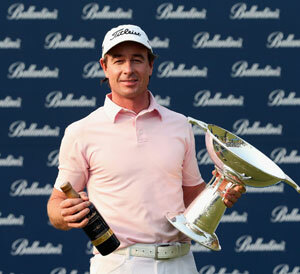 He has won twice, (The wonderfully named Zambia Sugar Open and a non-sanctioned event called the Sun City Challenge.) whilst finding the top 2 in 4 out of his last 6 events – in fact, in the other 2 tournaments he finished T16 and T13…Basically this lad is on fire at the minute and we saw enough in South Africa to show he can mix it with the European Tour players. This really is a course that suits the Brazilian and we haven’t even mentioned his stats yet – 1st in driving accuracy on both the Sunshine and European Tours, whilst he is 1st for GIR in Europe and 2nd on the Sunshine. We will be honest. When we first looked at this tournament and course, a few names popped out straight away and we checked to see if they were there. Da Silva was one of them (you have already read about 2!) and when you think he is 100/1, bring on the value. Can he build on last week’s great showing? We have backed so many Scandinavians this year, some of who returned us a lot of money along the way. Søren is one that got onto our ‘teamsheet’ a few weeks ago, thinking he could be perfect at the Scottish Open. After a promising start, he faltered at the weekend to finish T31. And that has been the story of much of his season – chucking in at least 1 poor round at the weekend to ruin any chance of a high finish. However, all that changed last week in Wales where he shot a stunning 66 on Sunday to climb right up to 3rd. A round like that will give any player bundles of confidence and we just feel the big Dane could thrive off it and bring in his form onto a course where he did finish T4 back in 2006. Currently, he is 74th in driving accuracy and 65th for GIR, which is not the worst combination but last week he finished 18th and 19th respectively. Whilst, his putting was on fire – 3rd for putts per GIR and putts per round. If he can keep his game going, then we could all be in for a Danish treat. For a man who has won on tour in 2013 already, and someone who has been in our plans for many big tournaments, it is quite incredible that we find him at these sorts of odds. Now we understand he is in three figures because his form of late has not been the best! But when he won back in March, he came in on the back of a missed cut and only one top 10 in 2013. 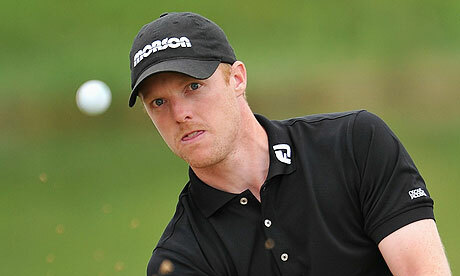 He followed that with T11 at the Malaysian Open and T3 at the Volvo World Match Play. So his credentials cannot be questioned. Regardless of recent finishes, his iron play has still been there for the past few months and this is shown in his 13th in GIR and 7th in driving accuracy! 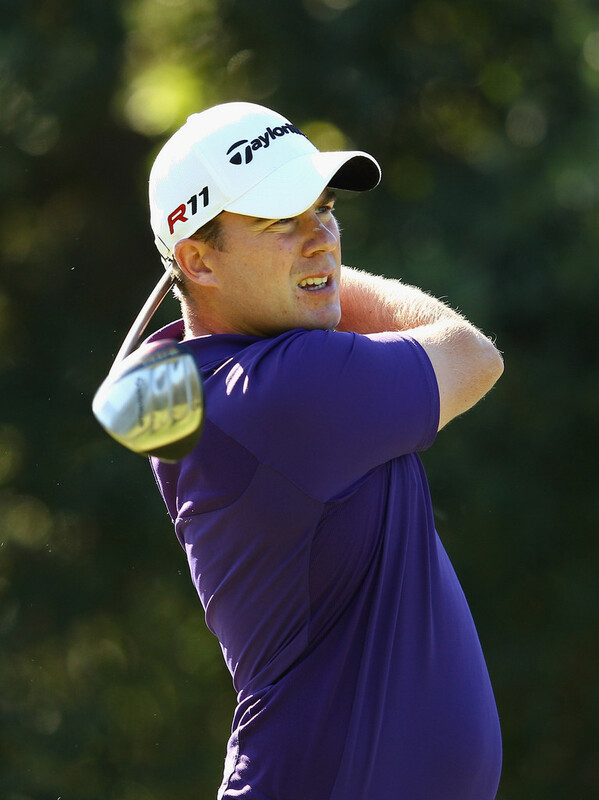 This course will suit Aiken down to a ‘tee’ and will without doubt give himself a lot of birdie chances. Aiken also has very good history on shorter courses which is why he featured heavily in our plans for The Open. In a European Tour event without the bigger stars, you really won’t find many better players at these sorts of odds and we feel it is too good to ignore.